The SharEEN project has launched a consultation for the identification of needs and perceived barriers in the Sharing Econnomy as well as proposals of interesting contents for training and advisory services. The following questionnaire is a quick way to provide a contribution. 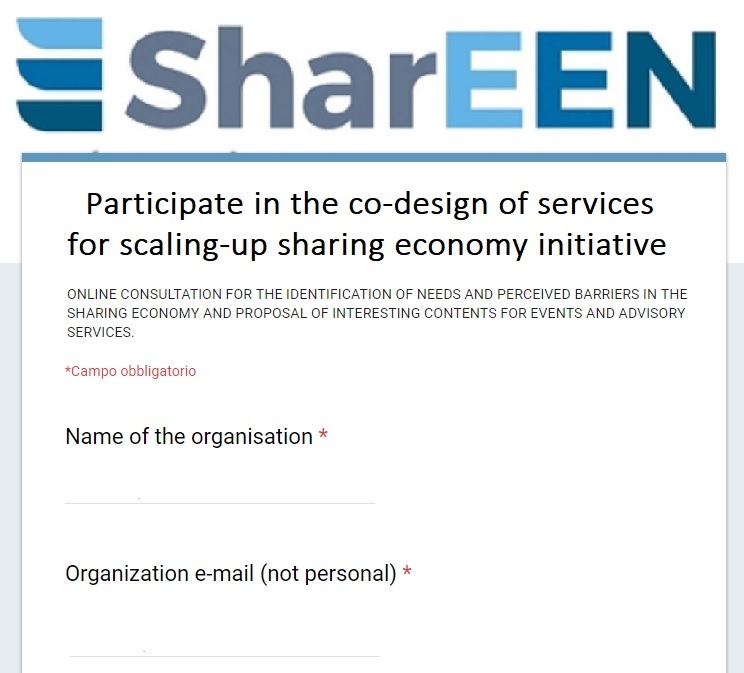 By completing the questionnaire you are co-creating the next SharEEN project event in your region and the forthcoming Advisory Services to be offered to sharing economy initiatives. The results of the questionnaire will be used only to improve the project. Thanks in advance for your collaboration.